Your Falmouth Chamber is now offering enhanced video business listings...connecting with your customers just got easier. We're here to help you engage your audience with video. And with partners, like Brian Switzer Video, it’s never been easier or more affordable to develop the video you’ve always wanted. One great video with infinite possibilities. Enhance your business listing on the Falmouth Chamber site, add video to your web site, share it across social media channels and run it as an ad to reach your target audience. 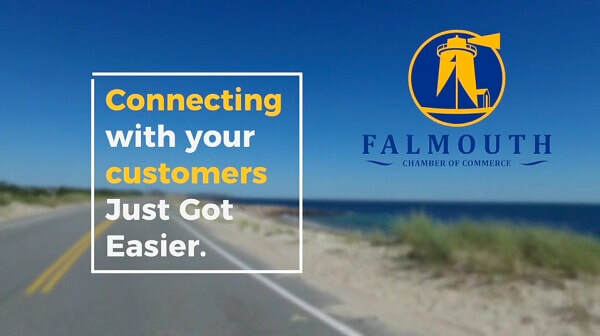 Your Falmouth Chamber is committed to being your community connection. Give us a call today to find out more about this great opportunity. Eyes on our website means eyes on your ad or video.